Americans need UNITY if we are to grow strong again as a people and nation. But how do we achieve that? Christians and other concerned citizens can begin to build a COMMON VISION for Americans’ future based upon the FOUNDATION that was laid by our Founding Fathers. But what is that foundation? What is it that makes you an American? 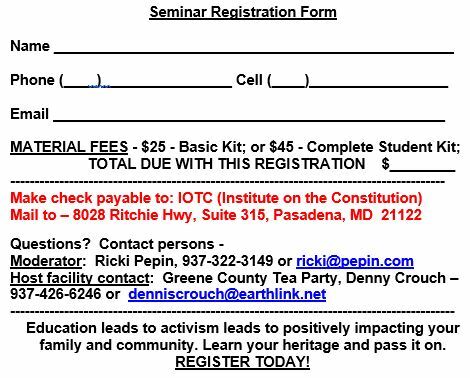 Please see the details below – dates, times, cost, registration – and REGISTER TODAY. Then pass on this opportunity for a fresh start by sharing this invitation with your church, your family and other citizens who are concerned about their children’s and grandchildren’s future.